22 element ideal for caravans, boats or motor homes. 28 element ideal for homes. 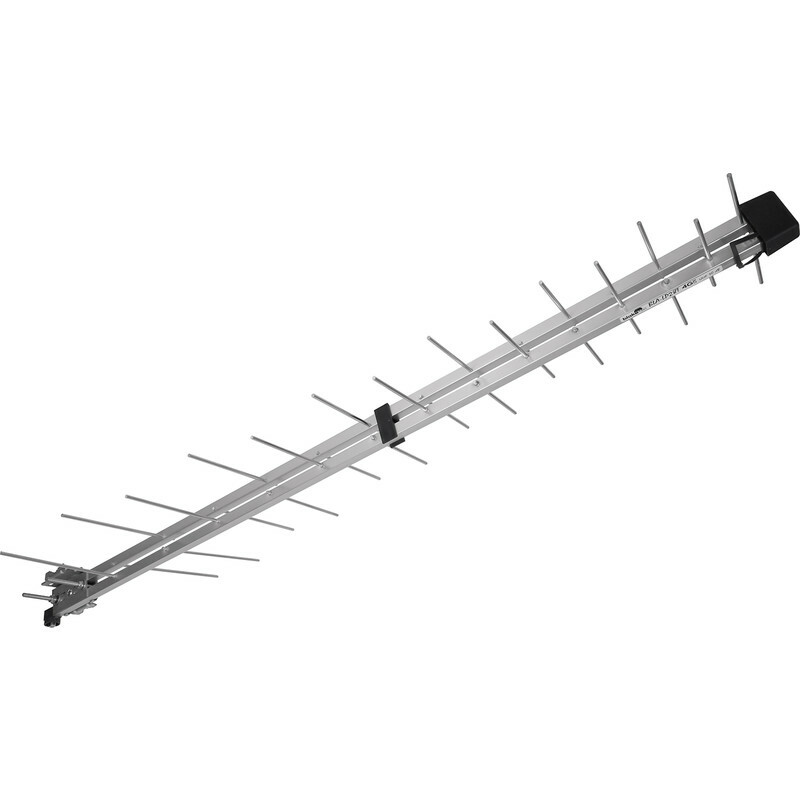 Compact Log Periodic TV Aerial 28 Element is rated 4.9 out of 5 by 7. Rated 5 out of 5 by CGJ can fix it from Sofa surfer Bought this to replace an existing aerial on my holiday home in Devon easy to fit, light and gives me 130+ tv and radio station and robust enough to support a passing seagull at the price what more could you ask for. Rated 5 out of 5 by Don 74 from Made a great difference Aerial made a great difference with the picture,easy to fit with bracket supplied The screw fixing from cable to aerial much better with the F type also the waterproof cover all supplied. Rated 5 out of 5 by Jolaine from Much better than very expensive alternatives I bought this after my parents bought theirs. I haven’t had time to fit it yet but they are more than happy with theirs so on their recommendation I bought one myself. Time will tell. Rated 5 out of 5 by Pip3 from Small & powerful Great little aerial, where signal strength is good enough. Shouldn’t catch too much wind if outside, or easy to find space and align in loft. Complete with F type (satellite) connector. Great value and performance. Rated 4 out of 5 by Dave6219 from Cheap but effective Good value compact aerial. One of the bars fell out when I took it out of the bag but it was ok after wedging it back in. Easily mounted and, because it's short, it doesn't sway on a cranked mast.